I was able to play in the private BETA for Battlefield V – and I was totally hyped. I wanted to know what would change from Battlefield 1 to V, and honestly, not a whole lot – however the maps feel better, the game play feels better, and I was drawn back into playing it more often than when I was playing the previous installments. I was really psyched up for the full release of the game, and I was really hyped for it. Battlefield V is graphically the most intense and realistic looking shooter I’ve ever seen. From the vast and barren landscapes to the close quarters combat, each match is gripping and exhilarating. As the newest installment of the Battlefield Franchise, I believe this game enhances what previous iterations already did quite well. For example, the class based system allows for a more real to life example of the skill-sets those classes would provide. In addition, the character customization between each class and faction allows for more personalization, making the game your own when battling it out against 63 other players on graphically beautiful maps. 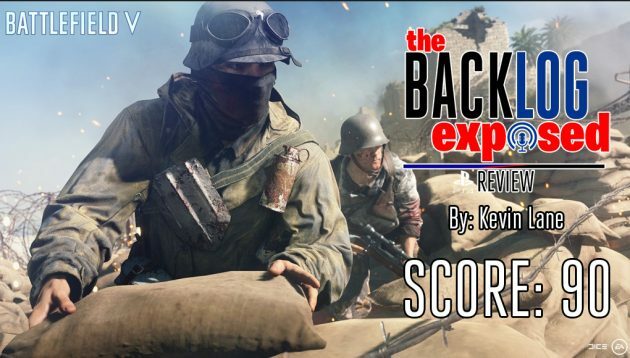 Not everything is perfect with Battlefield 5 – for example, the changes to the spotting system have made it difficult to adapt from the old way – but again, they have built out a more realistic version of this type of system, so I don’t have much of a problem with it. Also, the game has a Pay to Win structure as you can unlock better weapons, scopes, equipment, etc if you pay for it. I’d prefer a more level playing field, which is why I tend to stick to Battle Royales these days. Another knock on this game is that the anticipated Battle Royale mode did not release at launch, and we’ll be waiting several months for it. I am really looking forward to that mode – to see what Battlefield can do with the new way to play shooters. This game is living up to the hype that I built in my own head. It’s beautiful. Graphically amazing. The gameplay is more fluid than past Battlefields, almost having a Bad Company feel to it. I will keep playing, and will probably adjust my score once the real mode (Battle Royale) comes out. For now, because I am waiting for the Battle Royale Mode.